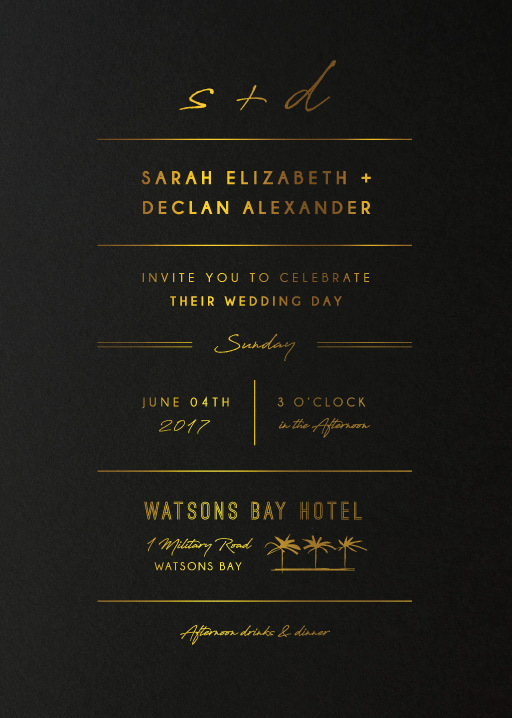 Imagine sand between your toes and a warm island breeze gently shaking the palm trees above you… Break out the bubbly and kick off those stilettos - it’s time for a beach wedding celebration! 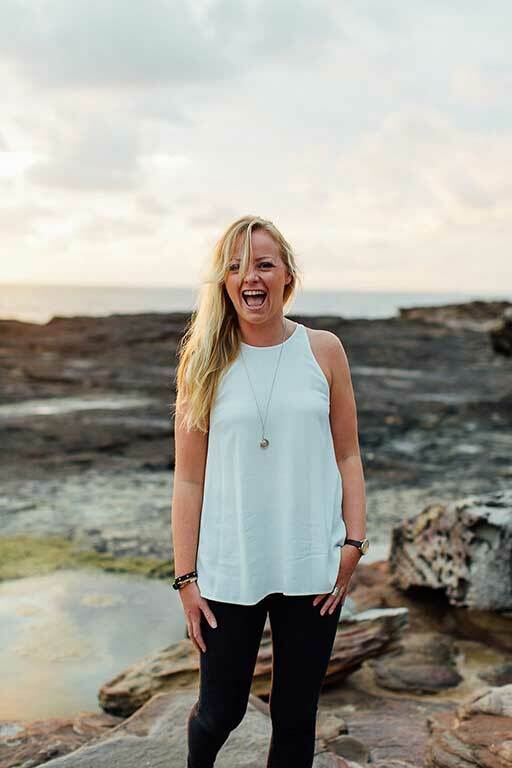 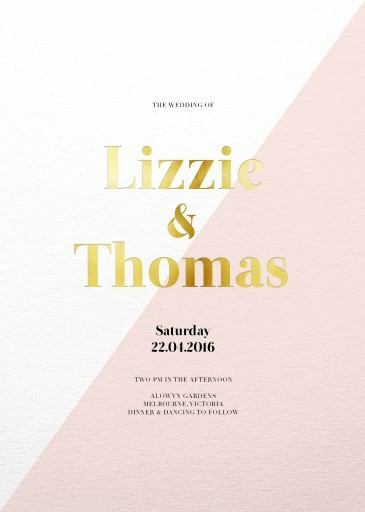 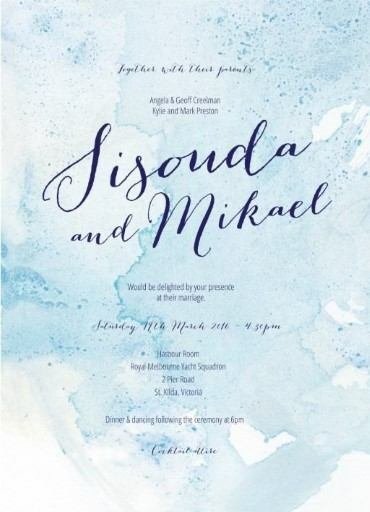 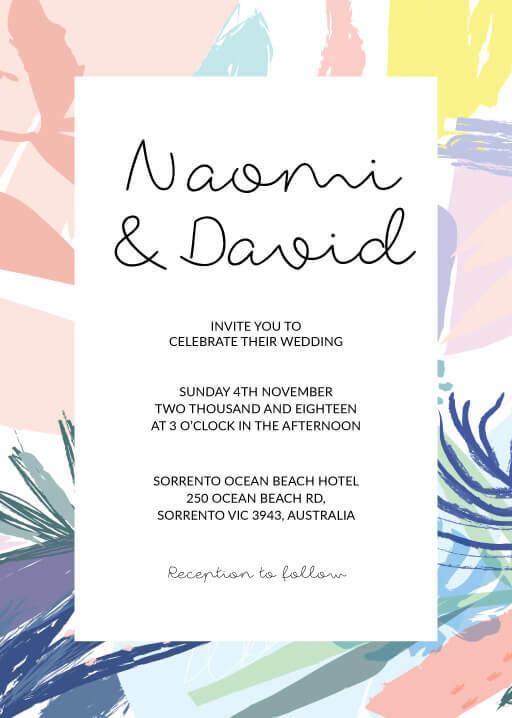 Whether you jet off overseas for an exotic destination wedding or happen to live on the coastline and want to get married at your favourite childhood haunt, it’s guaranteed that you need the perfect beach wedding invitations for this special occasion. 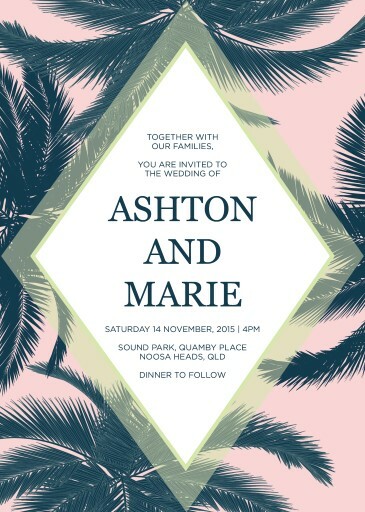 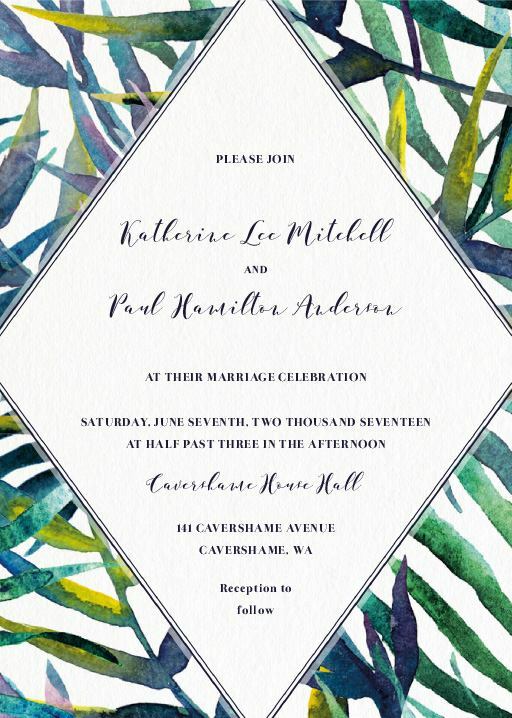 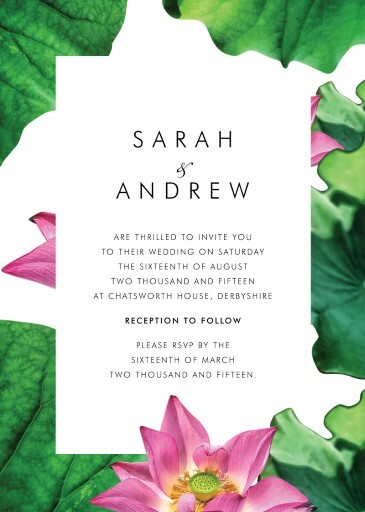 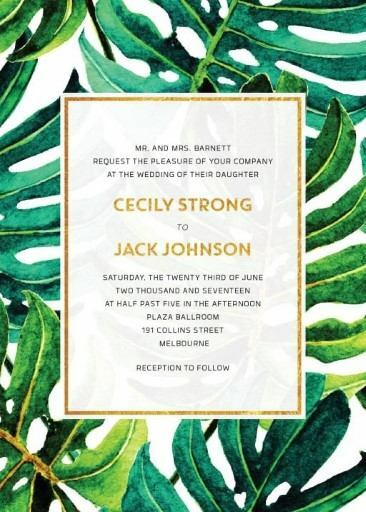 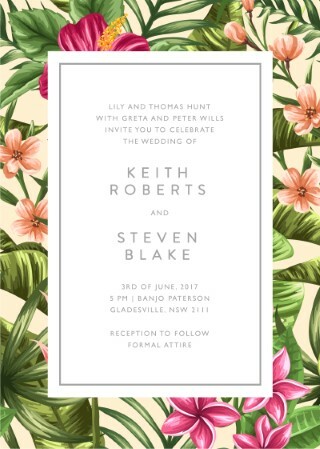 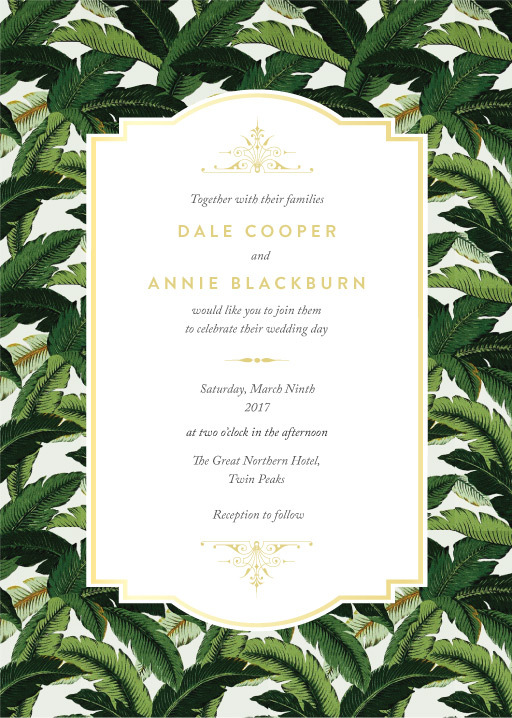 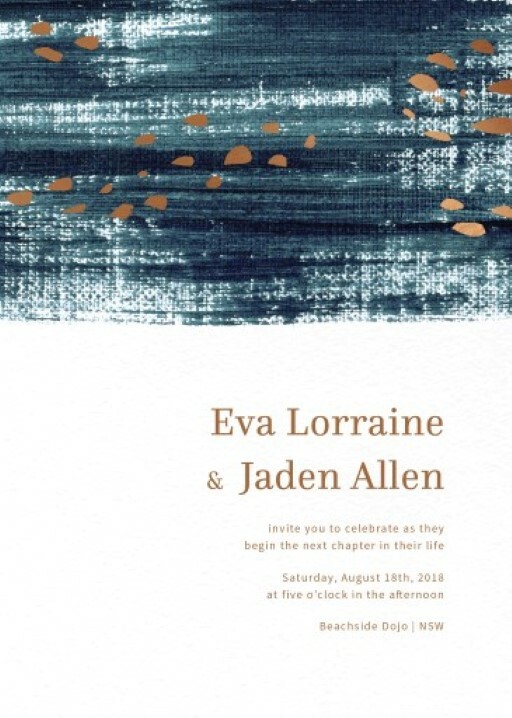 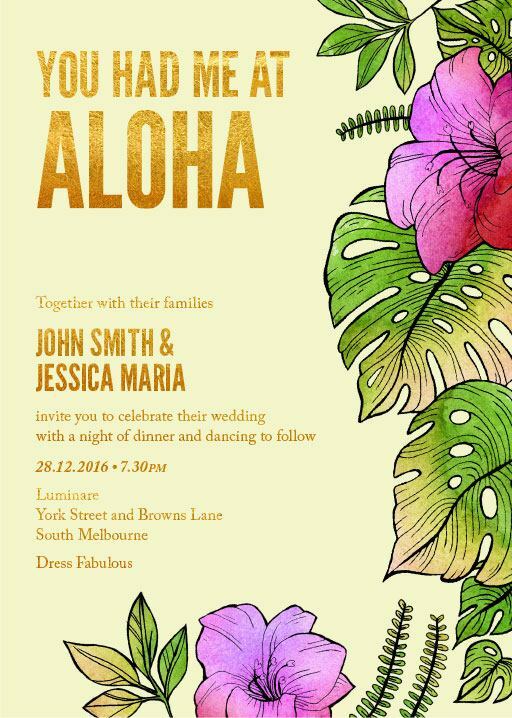 If you’re thinking ‘not for me’, at Paperlust we don’t think beach themed wedding invitations should be restricted only to loud island florals. 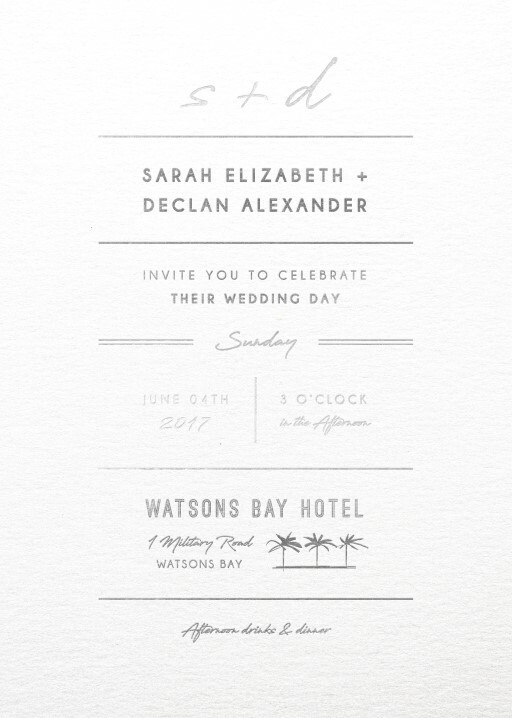 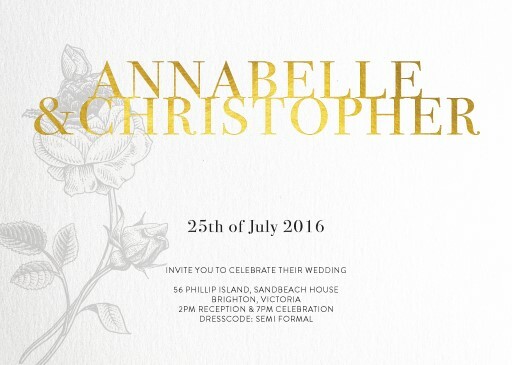 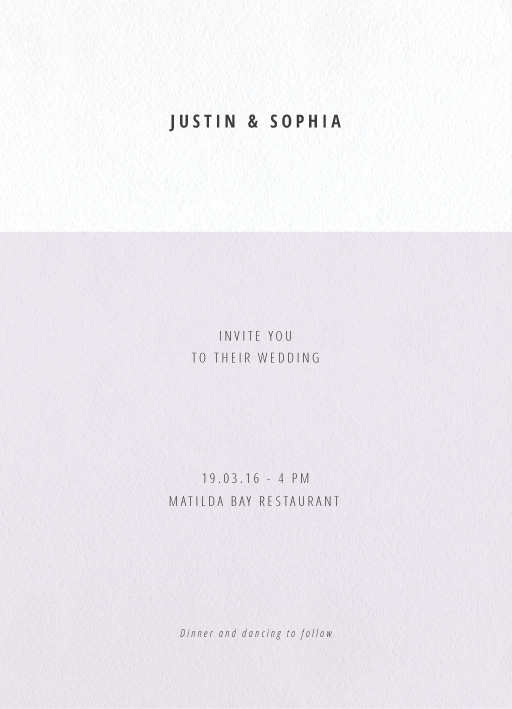 Believe it or not, elegant beach wedding invitations do exist! 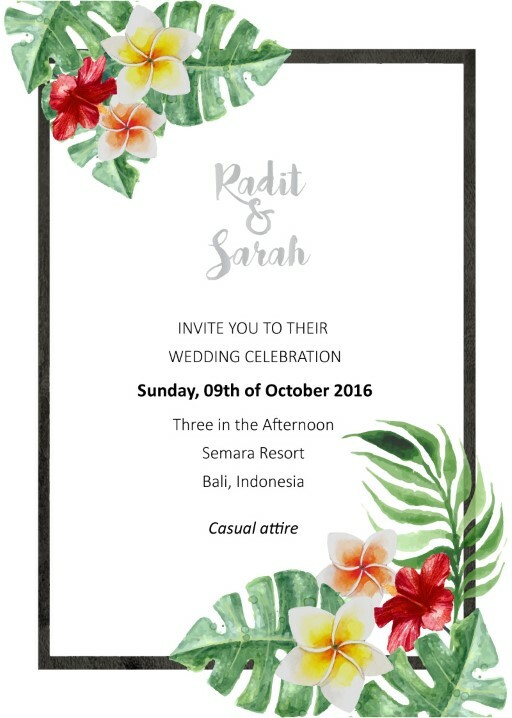 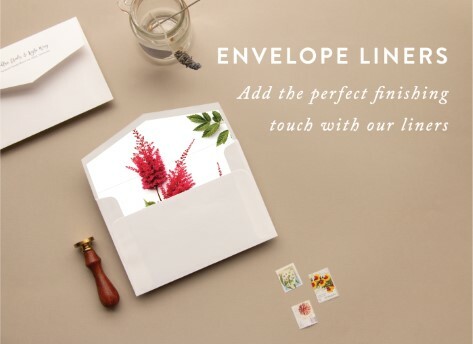 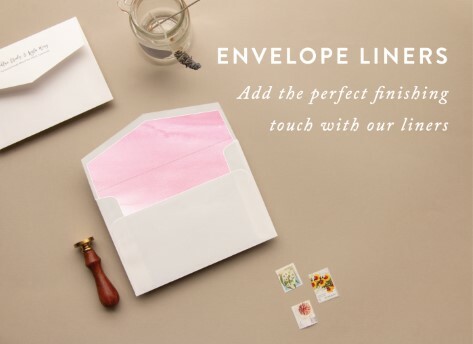 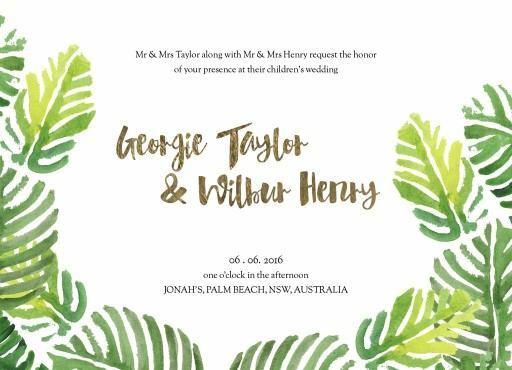 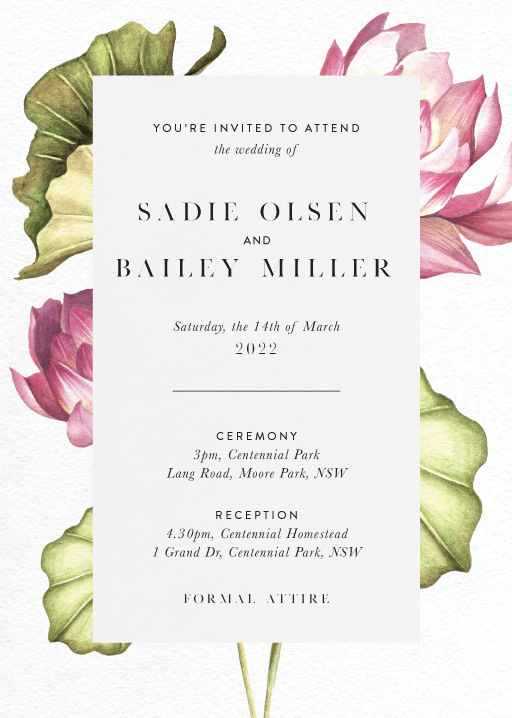 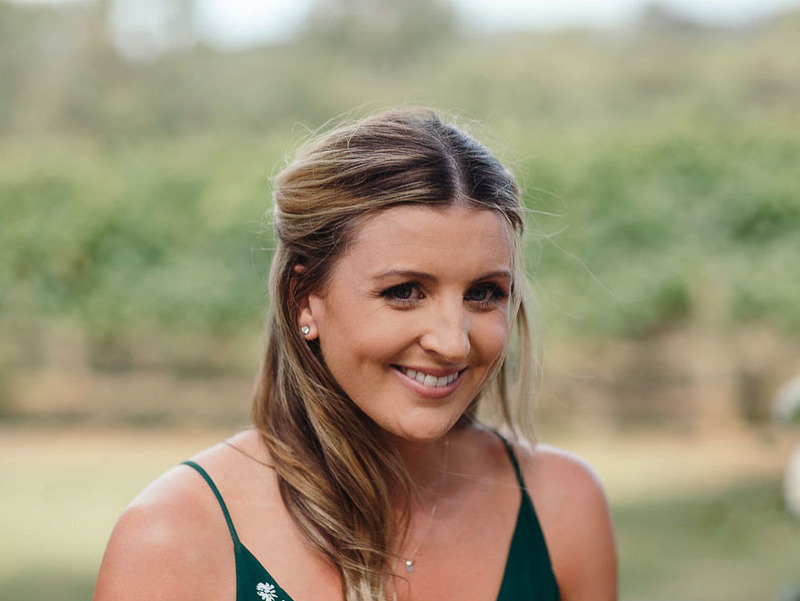 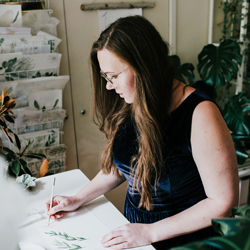 From fun tropical botanic designs to simple watercolours, wedding invitations beach style can be a colourful reminder on your guests’ fridge of the fun to come. 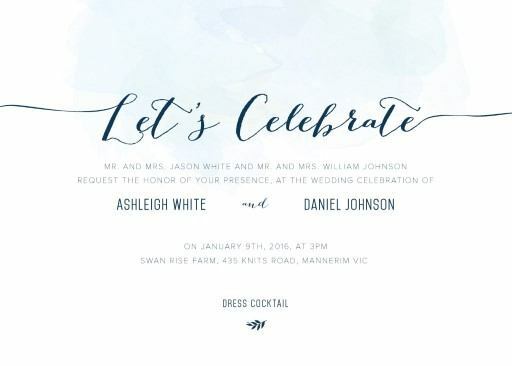 We all need something to look forward to! 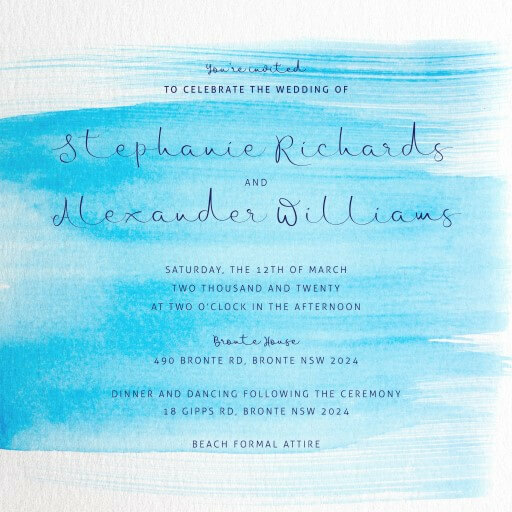 Despite how formal or casual your coastal wedding is, you can set the tone right from the beginning with your beachy wedding invitations, telling your guests what to expect. 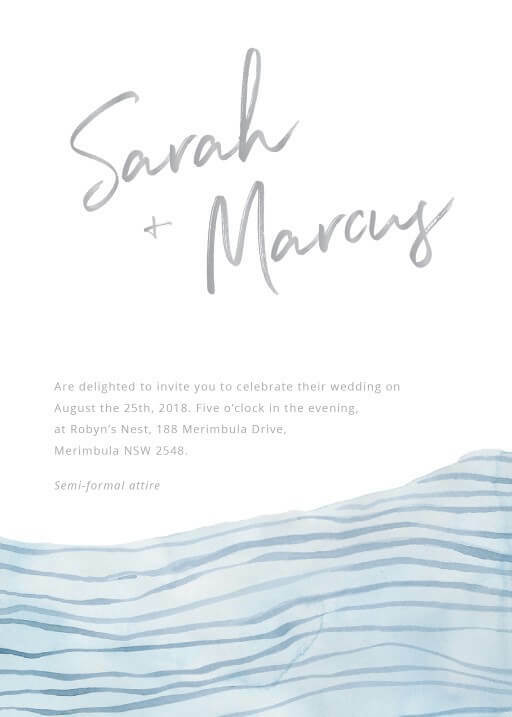 You may want to add some extra information for guests regarding footwear (will girls be able to wear wedges, or just flats? 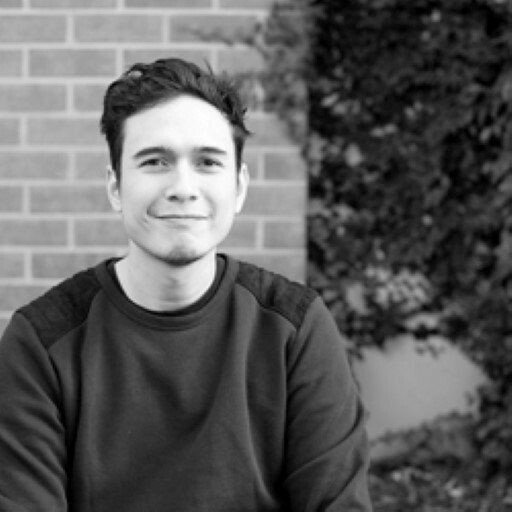 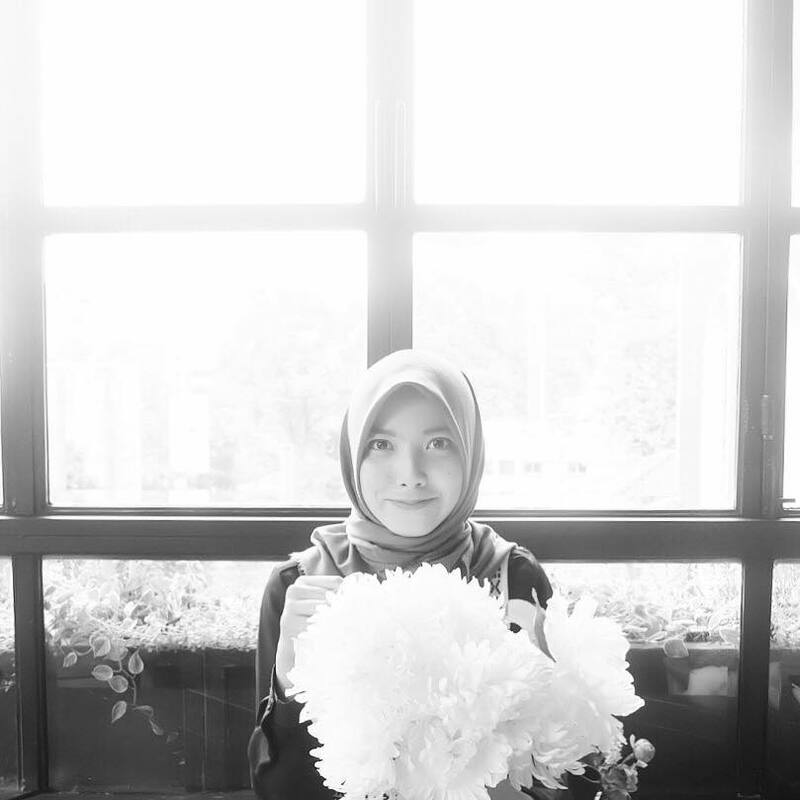 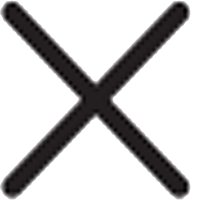 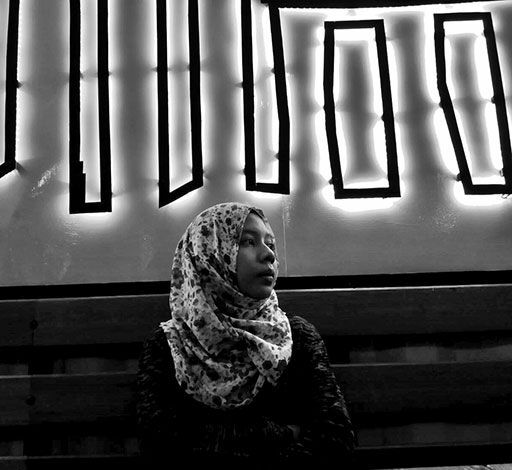 ), level of formality, jackets and wet weather alternatives. 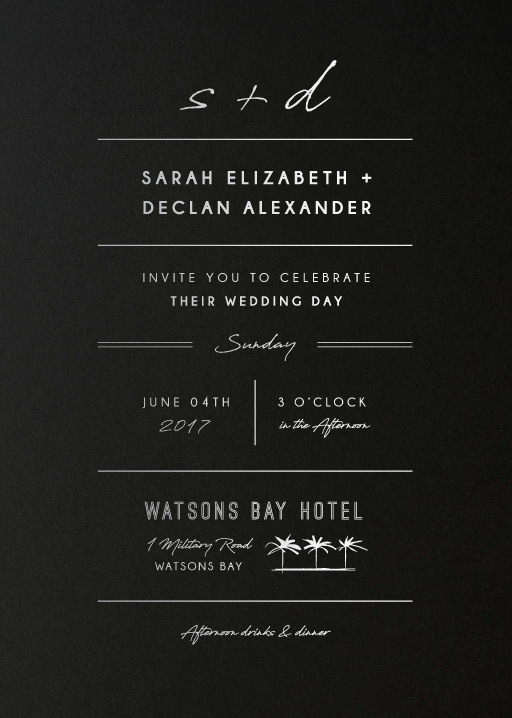 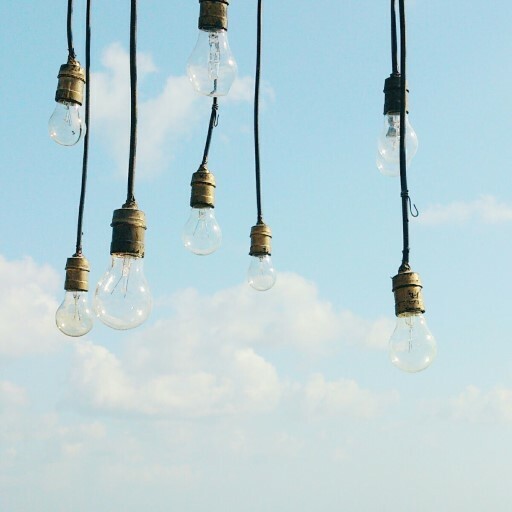 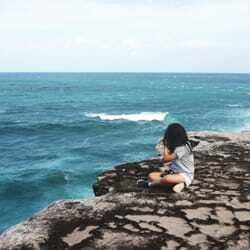 But don’t let these extra factors deter you from a beautiful beach wedding! 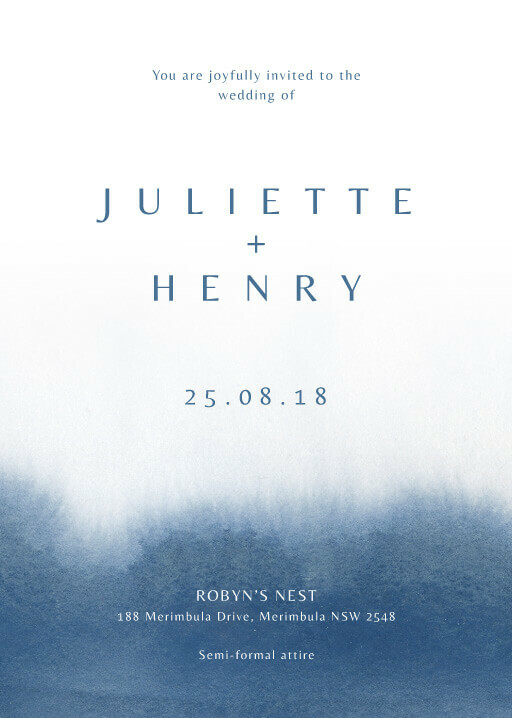 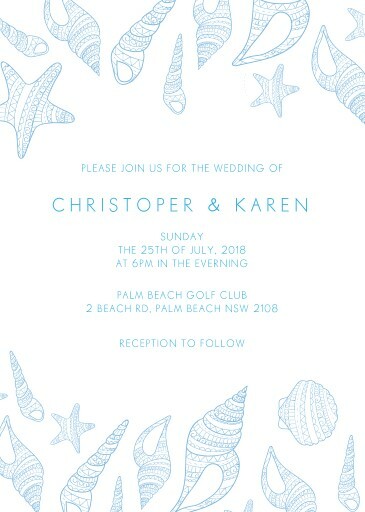 At Paperlust we can offer unique beach wedding invitations, from ombre watercolour and tropical pastel designs to water and nautical beach theme wedding invitations. 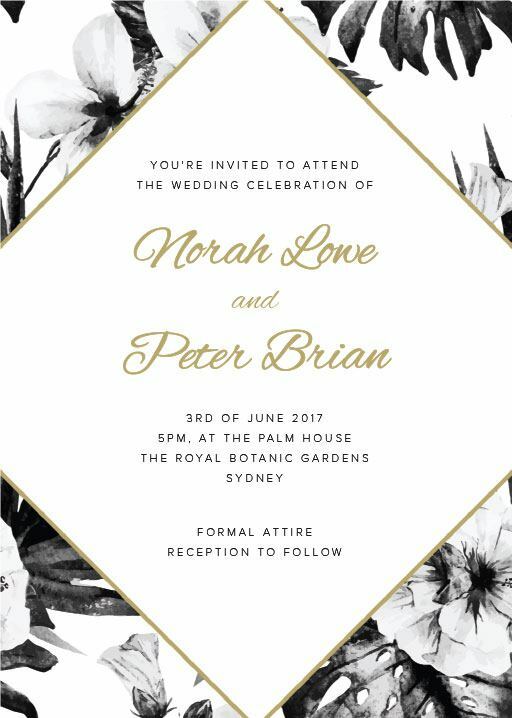 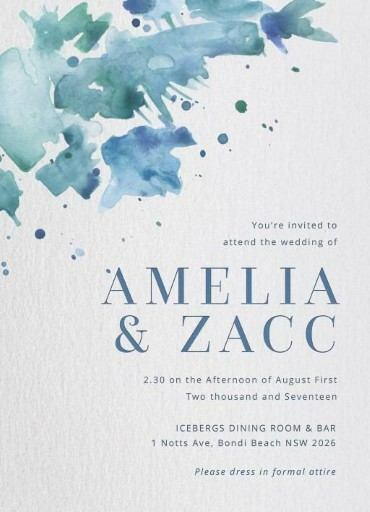 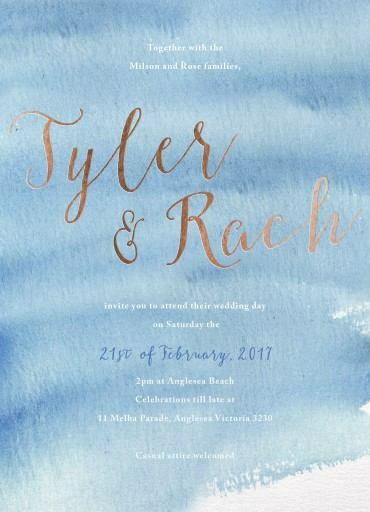 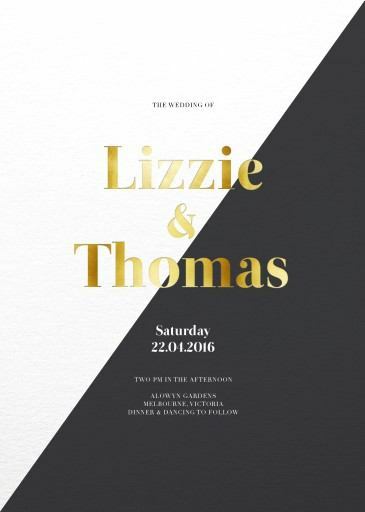 If you are on a tight budget and looking to do beach wedding invitations cheap, we recommend selecting a design without gold foiling or letterpress and opting for digital printing. 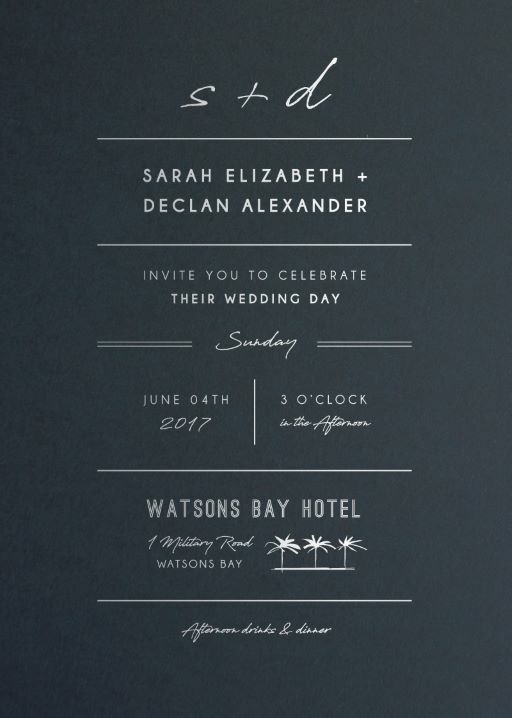 Just because you’re choosing cheap beach wedding invitations doesn’t mean they have to look cheap! 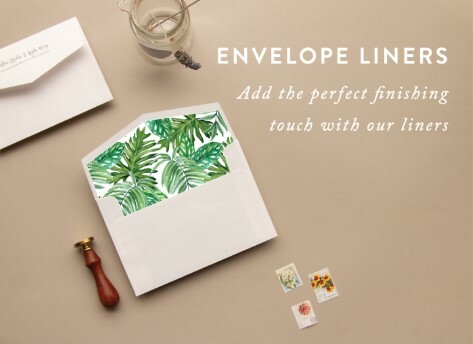 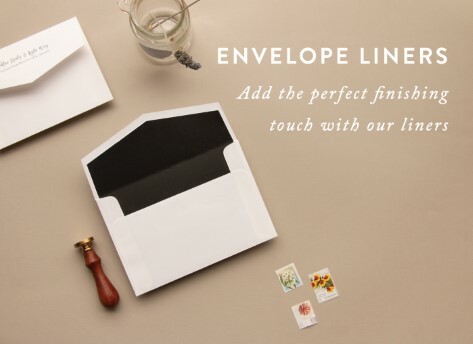 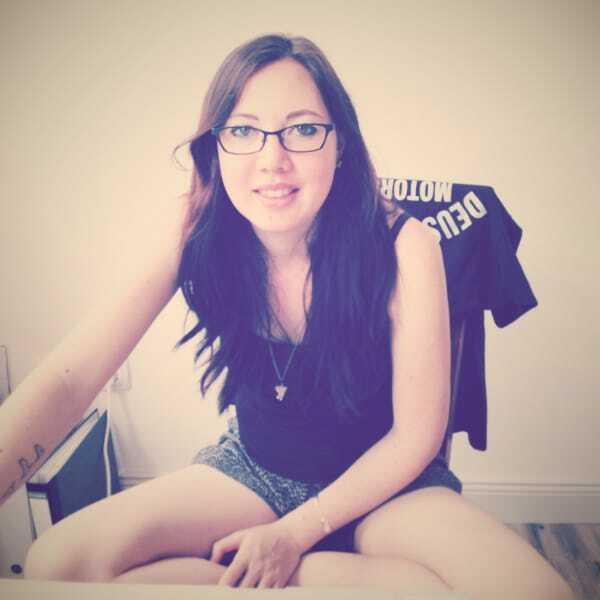 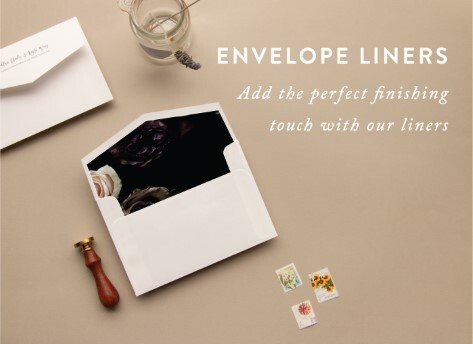 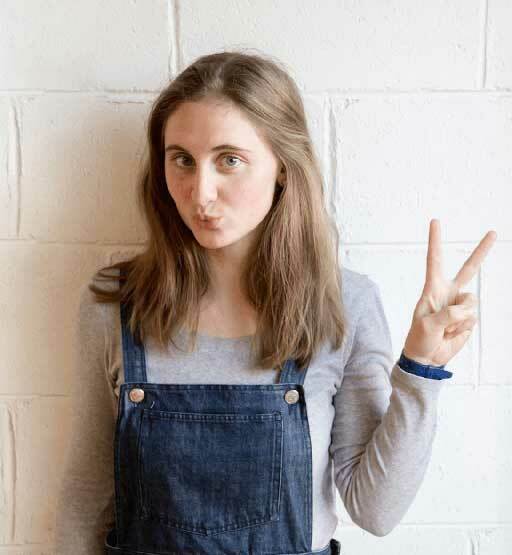 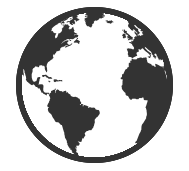 Rather than risking a DIY printing project with an online template from a company you’ve never heard of, you are better off going for a more affordable option on the website of a trusted brand like Paperlust. 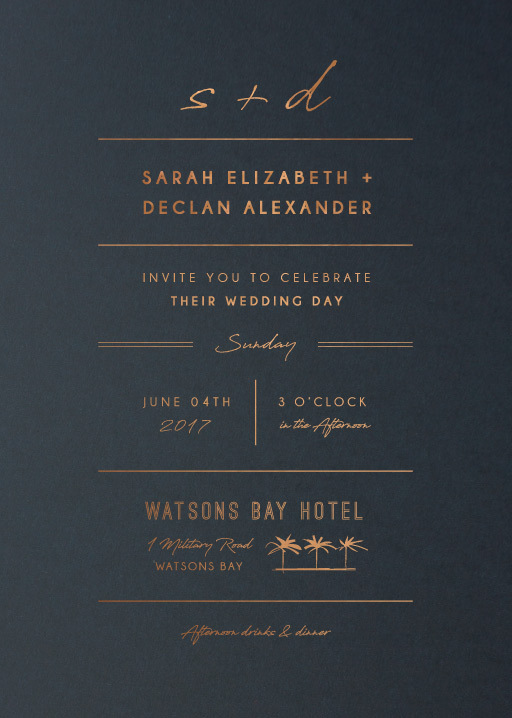 Wedding invitations with a beach theme can be the perfect introduction to the excitement and beauty to come on your big day. 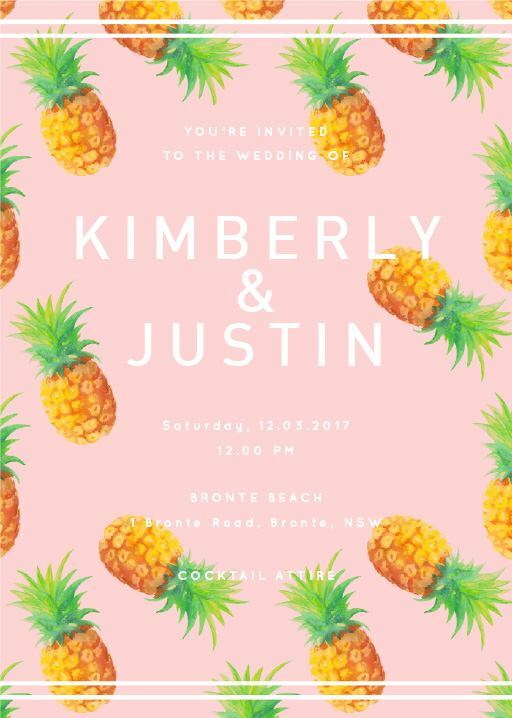 You can use a beachy design for not only wedding invites, but also engagement invitations, save the dates and thank you cards. 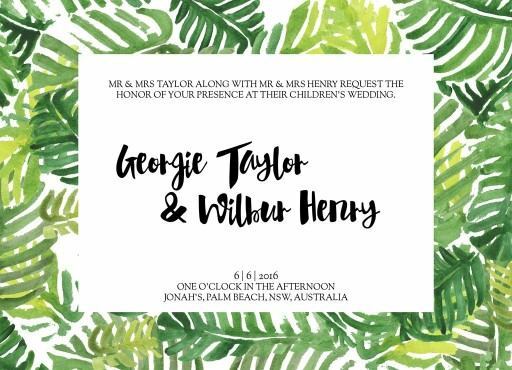 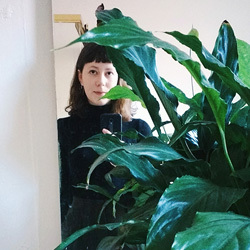 Don’t be afraid to branch out though - many other designs like gold foil wedding invitations or photo card invites will also look stunning for a beach wedding. 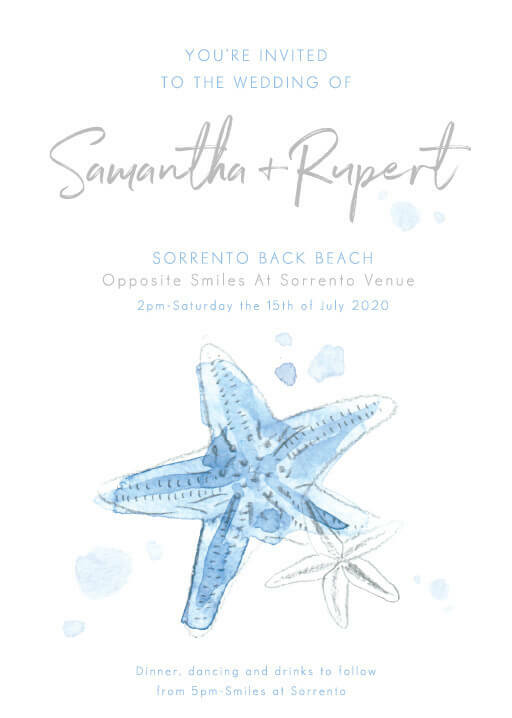 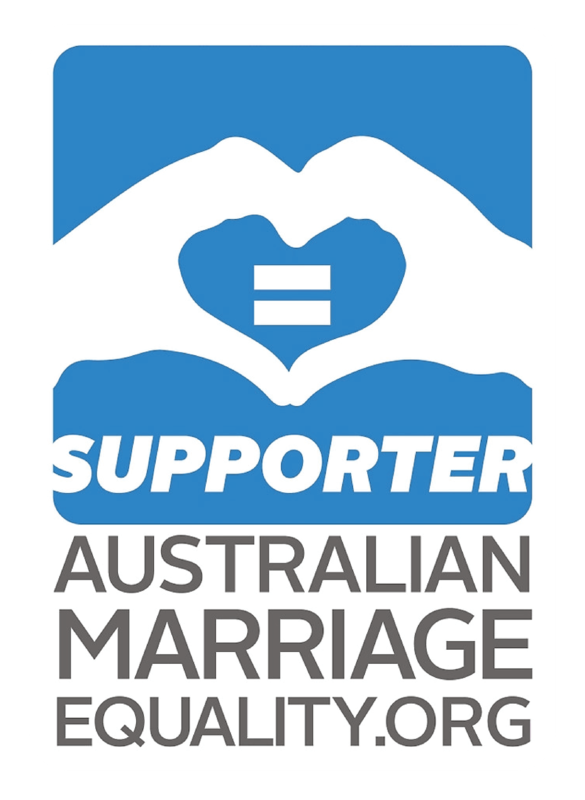 Browse our amazing range of beach wedding invitations above.